Home / banking-finance / Loan Against Shares: Is it an Affordable Option? Loan Against Shares: Is it an Affordable Option? Have you invested some money or savings in an asset such as shares, mutual funds and more and wanted to meet some emergency cash crunches? You can easily rely on a facility that can let you get access to a high amount of loan at a lower rate. You don’t have to avail a personal loan to meet your financial goals at a higher rate and pay higher EMIs. If you have invested in shares, you can make the most of it. Yes, you can now apply for a loan against shares at a lower interest rate and fulfil your diverse personal and professional needs. However, some of the investors may doubt if the loan against shares is a viable option or not. 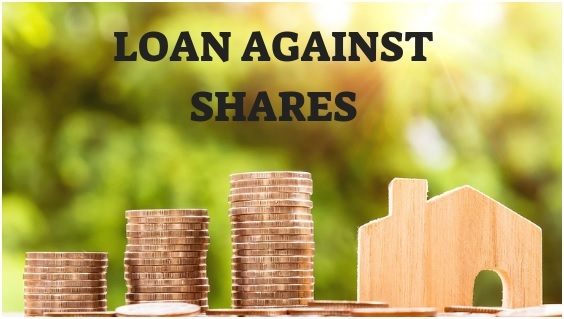 Hence, we have created this post to help you know more about the loan against shares facility. What is the loan against shares facility? Leading banks and non-banking finance companies (NBFCs) offer the loan against shares facility. As the name suggests, you need to pledge your shares as the security or collateral with a lender that you wish to get money from. The minimum worth of your portfolio ought to be at least Rs.10 lakh to be eligible to apply for it. The maximum loan amount that you can avail is up to Rs.10 crore. Is the loan against shares an affordable and viable option? The loan against shares is definitely an affordable and viable option when compared against other sources of loans available in the market. It is because that when you apply for a loan against shares, you stay invested and keep earning ROIs. At the same time, you also get to avail a loan against your portfolio to fund a wide array of needs. Availing the loan against shares facility comes with a great benefit. It is that the interest on loan against shares is charged only on the withdrawn amount and only till the time it’s not repaid. As a result, you can withdraw funds as per your requirements, and save money on interest payments. Overall, the loan against shares is surely an affordable option. Pitted against other loan sources available in the market today, it works wonders. What eligibility factors are required to be fulfilled to apply for LAS? Are you ready to apply for a loan against shares? You can do that online and get access to a high value of loan without selling off your assets and earning ROIs.